In simplified terms, inventory management allows organisations to see all the small moving parts of its operations thus ensuring they make better decisions and investments. It is a key element in business today, and an ERP software provides an integrated approach to business planning and operations. Over-inventory or under-inventory will affect your finances and can damage the overall health of your business as well as business opportunities. The SapphireOne ERP Business Accounting application ensures you have the integration you need to help you make quick decisions and avoid mistakes. The inventory management module assists you in managing your finances, logistics, operations and inventory management, to maintain accurate records of stock all in one central repository. A shortage of stock will result in dissatisfied consumers, with a flow on effect of less sales and greater handling and delivery charges. The all-in-one SapphireOne ERP Business Accounting application solution integrates the organisation to working within the one data file, with access to real-time data to make it easier to monitor and control movement of stock. Accurate reporting gives you the flexibility necessary to meet changing demands. The ERP will ensure you have better control of your stock and its movements by improving efficiency across multiple departments and operations in the supply chain. SapphireOne helps you to view inventory and track items in one application. All departments are integrated and receive instant visibility from entry of inventory as raw materials to their exit as finished goods to the suppliers/customers. This real-time visibility across the operations and supply chain provides the necessary planning tools to help you make better decisions. SapphireOne ERP application gives you real-time data to instantly see surplus or shortage in stock and react accordingly. This manages stock optimisation and inventory control and keeps track of the items that are selling quickly. Pre-built automated solutions are within the SapphireOne ERP application to help with streamlining of all stock activities. Correct warehousing techniques ensure the management of multiple sales and logistics channels. It coordinates movements of goods in and out of the organisation warehouses. SapphireOne ERP application facilitates order and operating delivery flows with automation, multiple tracking options to access bin locations, centralised database and advanced picking methodologies. This will improve warehouse productivity via labor efficiency, decreasing inventory levels, increasing order fulfilment and reducing order cycle times. Without control of the supply chains as they grow more complex and global, organisations today risk extended lead times, running out of stock, delayed deliveries or complete stoppage of production. Ensuring the right stock is at the right place, right time, is critical to managing supply chain volatility. SapphireOne ERP application mitigates these challenges by giving you control, speed and visibility. Automated processes, expanded insights, BI (Business Intelligence) Dashboards enables you to find patterns rapdily and use the data to further improve your company’s offering. Real-time data and visibility within a centralised database ensure accurate management of supply chains and operations. With customers being your most valuable asset, it makes sense ensuring their demands are met in a timely manner. SapphireOne ERP application delivers real-time data in one database across the organisation, so goods and level of service are kept at an optimum level. Our ERP system has all the information integrated and ready, so you can respond quickly on important decisions on what to do now or in the future. Queries regarding product availability or managing inventory management can be dealt with accurately giving your business the competitive edge. Stock management allows you to properly plan your stock needs. Stock quantity must be accurate so you can forecast in a timely manner. SapphireOne ERP application ensures you have real-time data to gain the confidence you need to forecast demand. Our inventory management module will highlight specific demands of stock, track turnover, in turn will help with forecasting and ordering of the right quantity. Data analysis and rich reporting features ensures you can deliver precise demands, accurate forecasting and predictions. Avoid all your inventory pitfalls with SapphireOne ERP Accounting application. Planning will improve profits through reduced inventory cost structures. 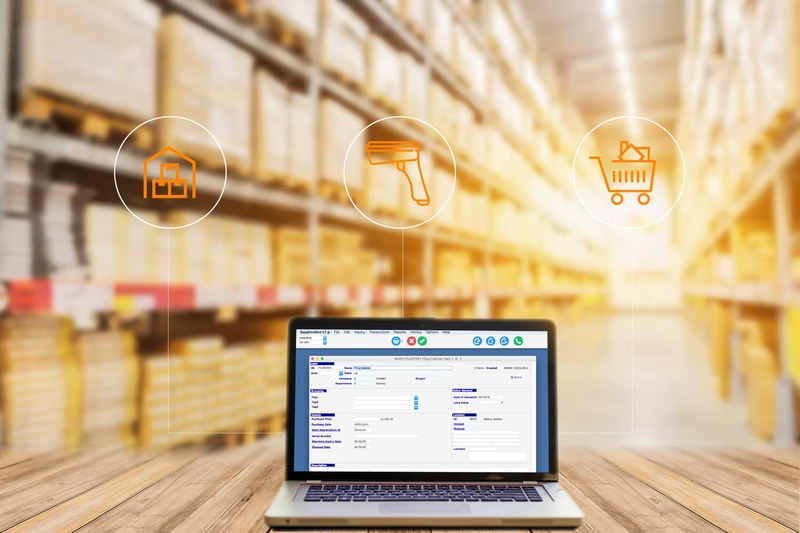 SapphireOne ERP application has automated order replenishment and with the functionality of real-time data, surplus inventory is spotted immediately. Inventory turnover with the ability to drill down to tracking segments of inventory, improves your supply chain efficiency and productivity.